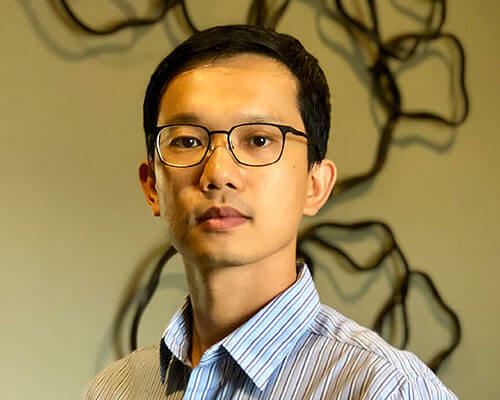 Home » Academics » Schools » Greehey School of Business » Faculty » Zecong Ma, Ph.D.
Zecong Ma, Ph.D., joined St. Mary’s University in 2018 as an Assistant Professor of Marketing. He earned his Ph.D. in marketing from the State University of New York at Binghamton. He also has a master’s degree in mathematical statistics from SUNY Binghamton, and a bachelor’s degree in mathematics from Soochow University in China. Ma is enthusiastic about research in the area of social network, big data analytics and marketing-finance interface. He is interested in using methodologies including structural equation modeling, machine learning and field experiment to study a variety of research topics. His papers were presented at the INFORMS Marketing Science Conference in 2015 and 2016, and at the Association for Consumer Research in 2015. Ma enjoys teaching. He emphasizes cultivating students’ critical thinking and creativity through good communication inside and outside the classroom. He was recognized for teaching excellence, appearing on the Dean’s Honor Roll for Excellence in Teaching in Fall 2016 and Fall 2017 at SUNY Binghamton. Ma loves listening to and playing music, writing in calligraphy and drinking tea.